Our friends Clay and Carolee came down for a visit with their son Benjamin. Lauren & Benjamin were in the same class at home. I think they really like each other, but they show it by fighting and bickering non-stop. Maybe they are the missing brother and sister that neither one has. 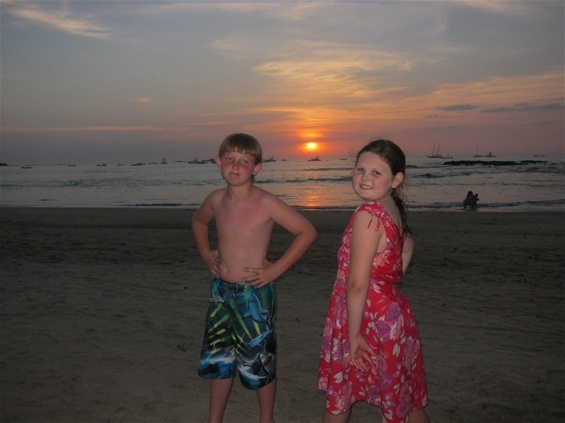 Here is a sunset moment on Tamarindo Beach that maybe they'll remember some day. We all couldn't help but laugh yesterday when they were on skype. So now you know, we're not crazy when we say our kids fight all the time! LOL!